Firestick plant (Euphorbia tirucalli): growing, planting, caring. 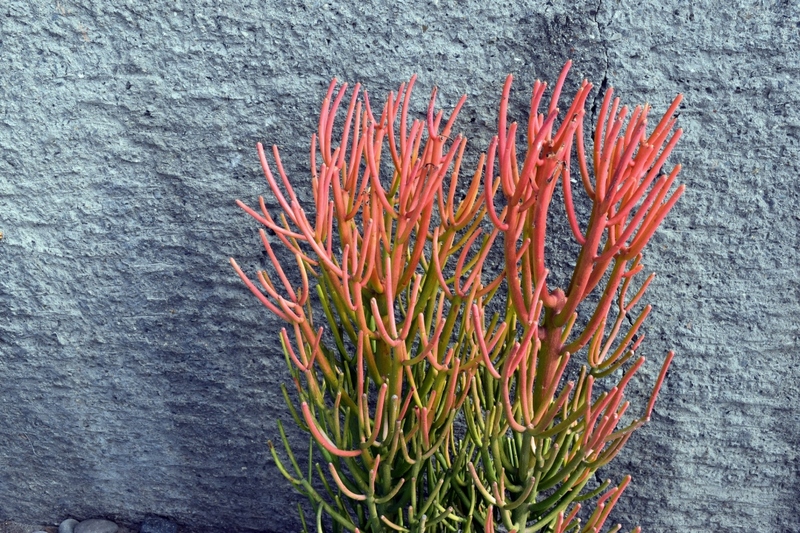 The firestick plant - with thin vertical branches looking a bit like crayons or firesticks! Full description for Euphorbia tirucalli not yet available. The firestick plant - Euphorbia tirucalli - is in its original area a tree - up to 6 meters - formed of one or more trunks with a broad and dense crown, and multiple branches without thorns, thin and vertical, look like firesticks or pencils. The end of the branches bloom in summer: very small yellow flowers appear, then producing small round fruits. Your firestick plants will appreciate a well-draining and still a little rich substratum, like cactus-soil: 1/3 of garden soil, 1/3 of sand, and 1/3 of potting soil. It will need a strong light to develop well: either placed in full sun during the summer, or behind a window with direct sun. It may be a succulent, but the firestick plant enjoys regular watering from April to September - however, never let the pot soak in a pool of water. The substrate must almost dry completely between two waterings. From October to March, leave it dry! 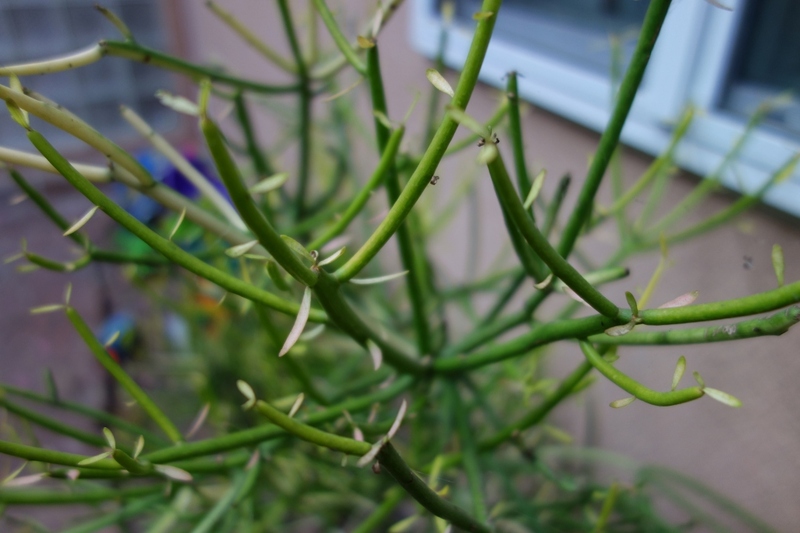 The firestick plant grows rapidly, and requires regular repotting - ideally before the summer. Pro-tip : the more you water it, the more fertilizer you bring, the more it will grow! Do not hesitate to take out your firestick plants, once the last frosts have passed, from May! Acclimate it gently, and of course, begin watering! Bring your plant in at the end of September, in a bright place at an ideal temperature of 7 to 15 ° C. And no need to water for the whole winter !